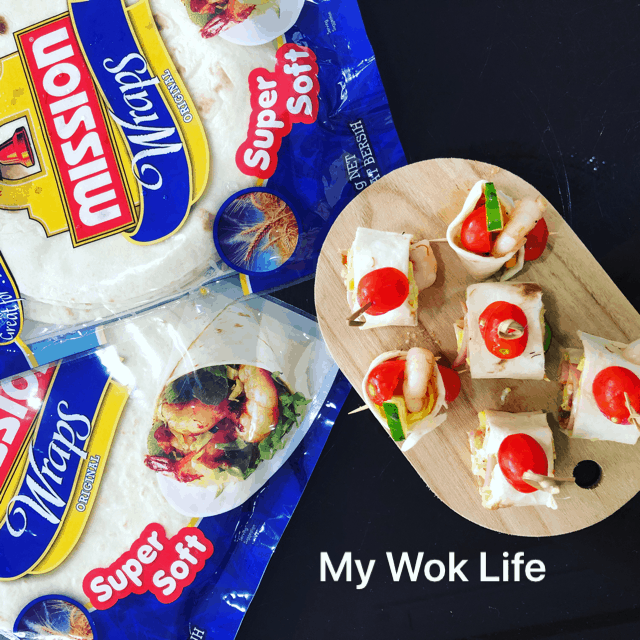 Constantly innovating to encourage creativity in food preparation, Mission Foods has launched a new Supersoft formula to its best-seller – the Original Wrap wraps. 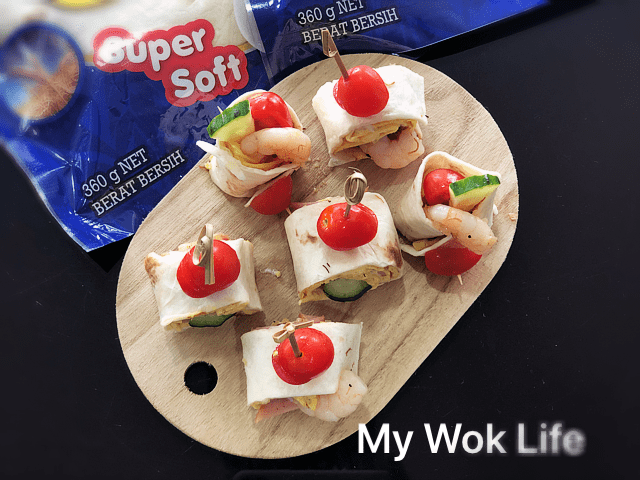 The Supersoft wrap is softer, more flexible, and has a buttery mouthfeel for a wholesome meal experience. Better now, this super soft wrap can be served as warm or cold wrap, and still remain soft. Other than fixing quick meals to enjoy at home, I find wrapping our food to go is also the easiest way. I would prepare the food the night before, keep in the fridge, and pack to go for work, to enjoy as breakfast and lunch, it’s absolutely no hassle. 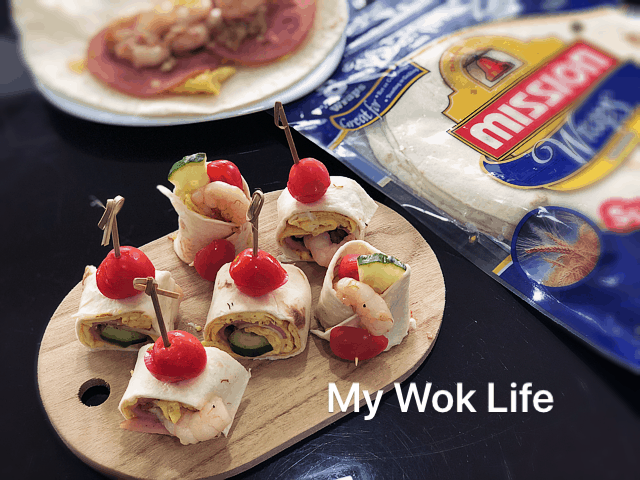 Impress your loved ones with these delicious & easy wrap pinwheels. Easy to assemble. The cherry tomatoes and cucumbers are one of the essential toppings that add the crunch and refreshment to the palate. (1) Warm the wraps on dry heated pan on low fire. Set aside. (2) Heat pan with oil and butter. Sauté onion and garlic until sizzling and aroma releases. Add dried scallop shreds, sauté till fragrant. (3) Add in prawn and stir fry till almost cooked. Add splash of lemon juice, followed by sugar, salt and pepper. Stir fry to combine. Heat off. Dish out, separate prawns, and set aside. (4) Beat egg and milk. Cook thin layers of egg. Set aside. (5) Prepare hams, avocado, cherry tomatoes and cucumber to assemble wraps. (6) To assemble: On one wrap, spread avocado, top thin layer of egg, 3 slices of ham in a line, and fried onion mixture. Roll up tightly, and cut lengthwise into pinwheels. 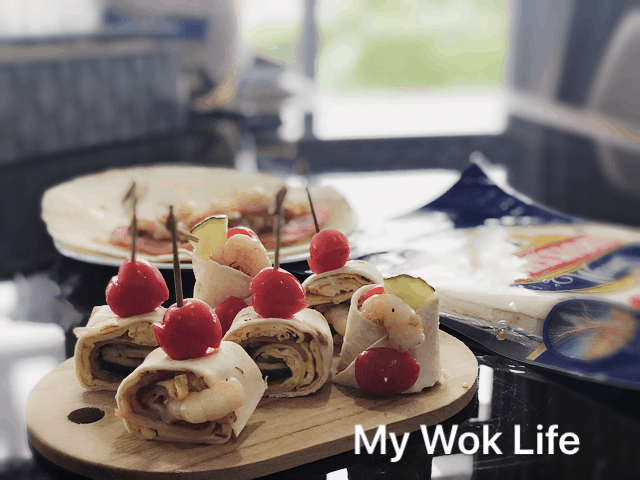 (7) Place a prawn in the middle of the pinwheel, secure with a party pick together with cherry tomato on top. Some of the pinwheels may be decorated with more cherry tomatoes and cucumber slices. Serve warm and chilled. 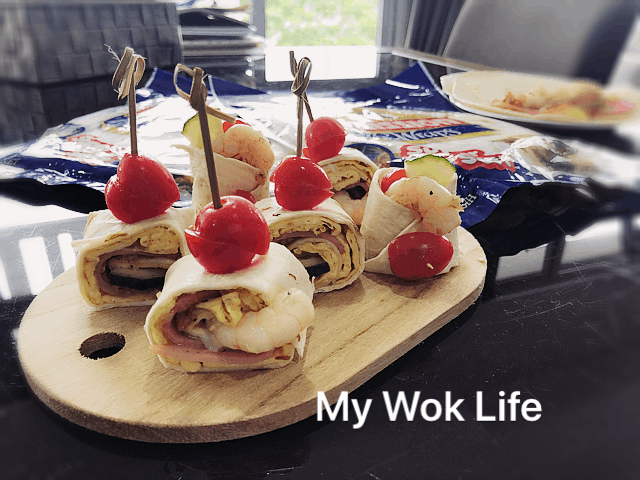 A serving of my prawn wrap pinwheels counts about 250kcal. 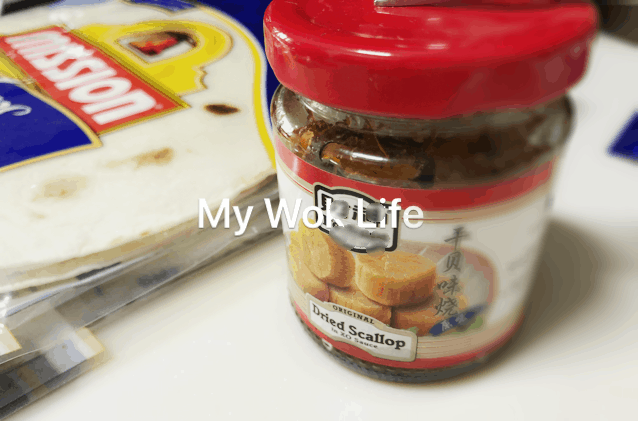 Tips: Shredded dried scallop in XO sauce in bottles can be found off the shelves at major supermarkets.